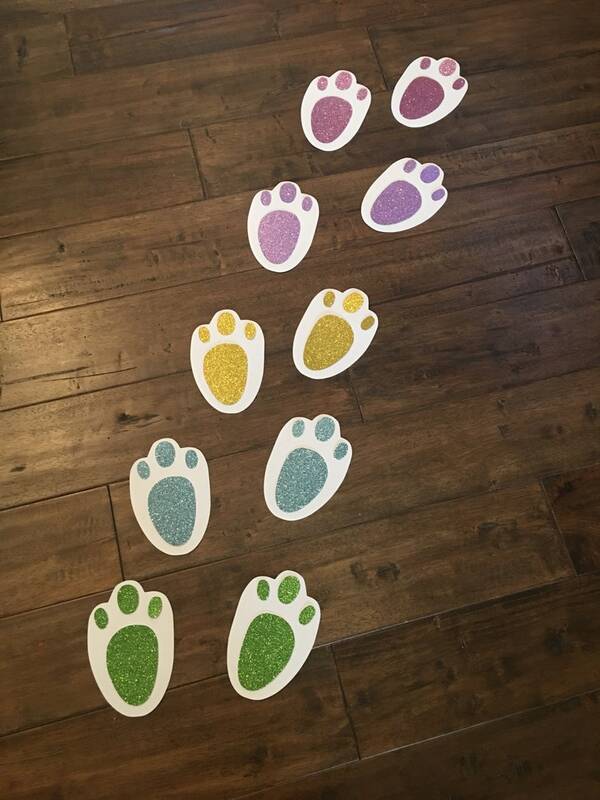 Perfect for a spring celebration or a sweet trail leading up to your little one's Easter basket! *PLEASE NOTE: GLITTER WILL NOT SHED!! IT IS ADHERED TO THE CARDSTOCK - SO NO MESS!